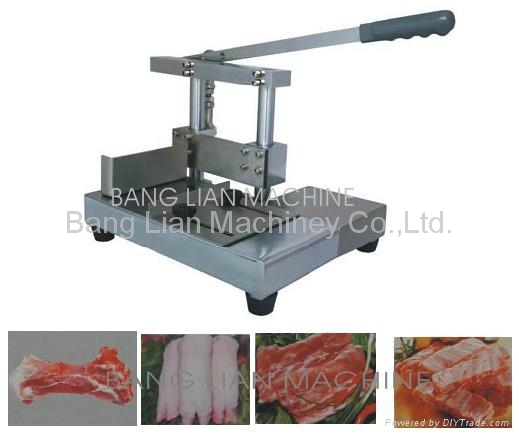 Manual Ribs / Chop Cutter - China - Zhaoqing Bang Lian Machiney Co. This machine is made of stainless steel. It can cut big chop, fresh bone, ribs, spareribs in small piece.